We haven’t made it to HOT SUBS yet, but we had to do a post after all the accolades and positive feedback we received from readers on Facebook. Hot Subs, Food Court, Grand Bazaar, Trinidad; (868) 663-4936 (counter service) – Hours are Monday-Thursday: 9am-7pm and Friday-Saturday: 9am-8pm. 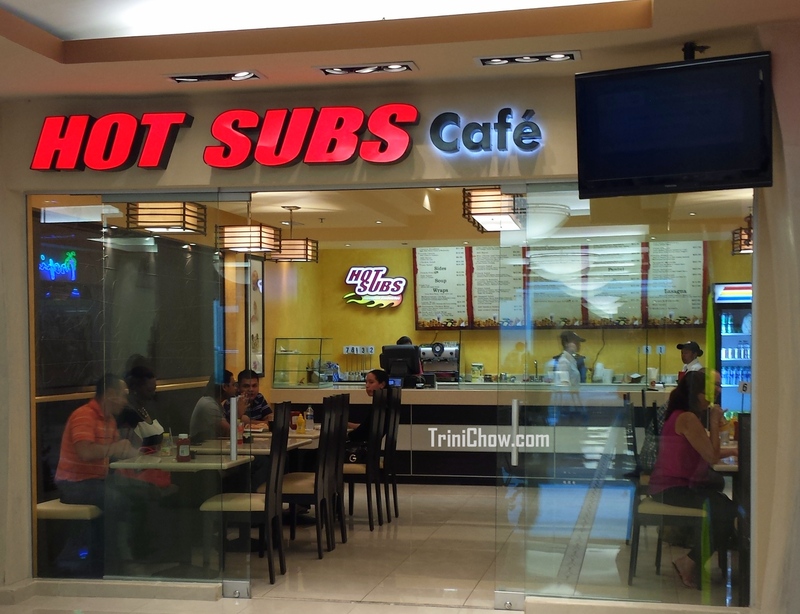 Hot Subs Cafe, The Falls at Westmall, Trinidad; (868) 222-8900 (full service cafe with seating inside the restaurant) – Hours are Monday-Saturday: 9am-7pm. 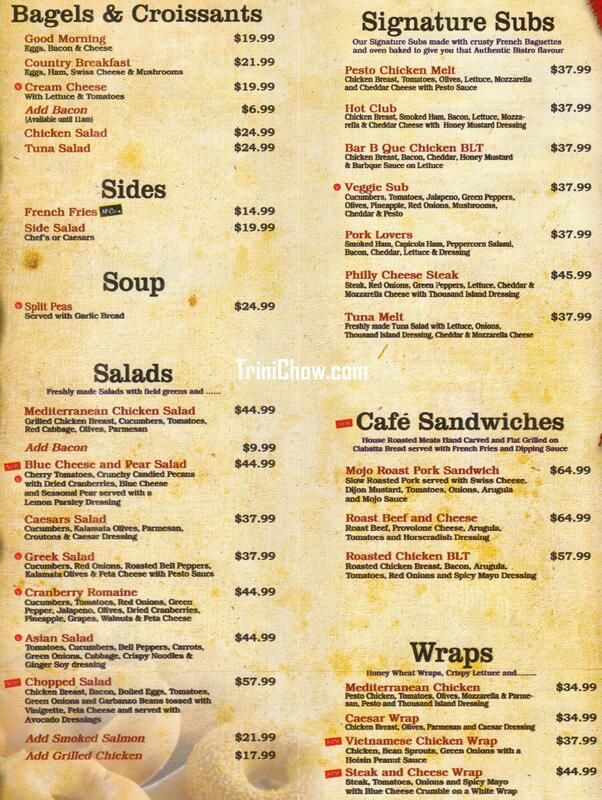 Tags: Trinidad Restaurant Guide, West Mall Restaurant Trinidad. Bookmark the permalink. I absolutely love the food at Hot Subs.. either location. Always hot and delicious. The staff are always pleasant and one in particular (think she’s a Manager or Supervisor – maybe Savitri?) at the Grand Bazaar branch is absolutely customer-centric where she makes it a point to greet and address customers by name – always sporting a radiant smile :). They also deliver so I introduced my co-workers to them and they are now hooked! The good service along with the delicious food keeps me, my family and friends always doing repeat business. I had a similar incident to the Post by DONOTBUYFROMHOTSUBS. My wife and I bought from hot subs while my 8 year old daughter had kfc. They insisted I could not have my daughter’s food in their restaurant. One even appeared to go to the manager. I ignored them and sat and ate. If looks could have killed I would be dead. Absolutely unreasonable and quite frankly unprofessional customer service. I blame the owners for either having a stupid policy or not training their staff to be smart and customer friendly. The food was good but with service like that I have no desire to go back……ever. I must say I eat at Hot Subs very often. My favourite are the salads cause the ingredients are always fresh and my sons love the paninis. I am based in the West so I generally go to the west mall branch for lunch to go or meet up with friends. Would like to put in my request for dessert too but then we might never leave. 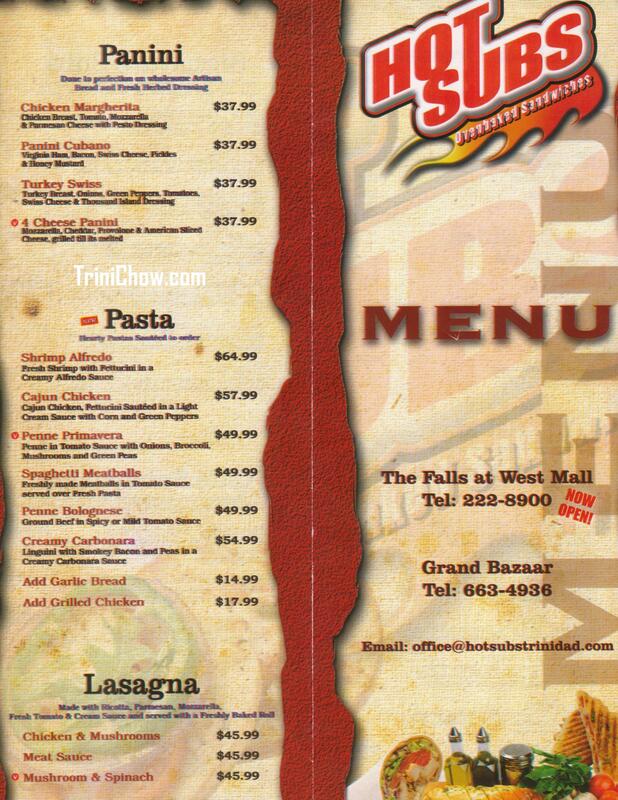 I’m so happy to have Hot Subs at The Falls at Westmall…it’s a much more convenient location for my friends and I to meet there for lunch. Quick and efficient service and the food is always tasty. My favourite is the Grilled Pear and Blue Cheese Salad…it’s the perfect salad with a little sweet surprise – candied pecans!!!!! Yum!!!!! Keep up the great work guys and see you again soon! Today I ate quite possibly the WORST wrap I have ever eaten in life. Apart from the wilted soggy iceberg lettuce, there was NOTHING Mediterranean about my “Mediterranean Chicken Wrap” but olives. WHY WOULD YOU EVER PUT THOUSAND ISLAND DRESSING ON A MEDITERRANEAN CHICKEN WRAP?!? And was that cheddar or mozzerella cheese that was mixed in that slop of a wrap I was subjected to? Certainly feta cheese would have been more fitting. HOT SUBS: you are appallingly pathetic. Get a cookbook. Google Mediterranean ingredients and flavours, maybe. I’d think twice about endorsing this place. – she kept insisting that I should leave or throw away the coffee; there were other people seated nearby, so it was pretty embarrassing.